Listed with Underwriter’s Lab as a UL844-P4 Certified Producer of Explosion Proof Portable Lighting and UL1640 Certified as an Electrical Temp Power Distribution Assembler. Bossltg is a Louisiana manufacturer specializing in producing Portable LED Lighting and Temp Power Products for a variety of targeted industrial and sporting event applications. We are best known for our exclusive production of High Mast ULTIMATE LED and METAL HALIDE STADIUM STYLE 60′, 80′ and 100′ light towers. Boss has always been an industry innovator. We were the first to offer OFFSHORE LED light towers. 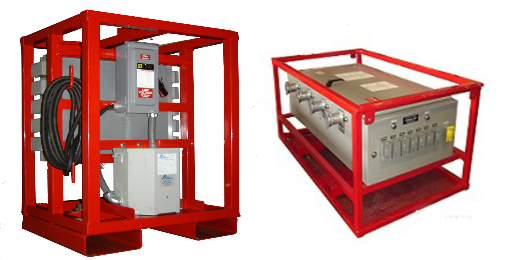 We created the first Utility Guard Shack OILFIELD LED light towers; Developed for EMERGENCY RESPONDERS the first truck-bed mounted REMOTE CONTROLLED LED light towers, and, are still the only light tower company that can UL Certify Explosion Proof and Division 2 rated LED and METAL HALIDE light towers. .Recently, Boss introduced their line of Temporary SPORTS FIELD LED light tower products for Youth, High School, Organized Sports Leagues, College and Professional sporting events. BossLTG is a PROFESSIONAL PORTABLE LIGHTING and ELECTRICAL POWER provider with UL Certifications that validates the safety of Boss assembled products. We have the qualifications and the resources to supply new products or rental products plus the national service network to support our clients throughout the USA and Canada. .
Bossltg is recognized as the leader in developing LED PORTABLE LIGHTING that is UL CERTIFIED and professionally validated to UL/OHSA Safety Compliance Standards..
Boss is an established certified UL1640 TEMPORARY JOB-SITE ELECTRICAL DISTRIBUTION assembler. We are also an approved OEM PORTABLE DIESEL GENERATOR provider of MQ POWER products. 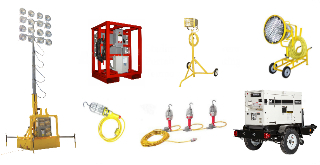 These are the products and industry certifications that qualifies Bossltg as the only Professional Light Tower, Portable Lighting and Temporary Electrical Power Distribution Company servicing USA and Canada. Bossltg is North America’s most diversified producer of portable light tower products. Exclusively producing light tower products that include 50′,60′,80′ and 100′ Ultimate High Mast Stadium Style light towers. 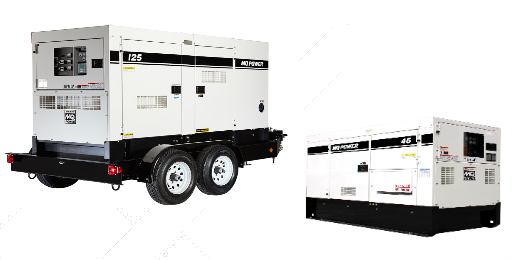 Light tower gen-set Combos’ with up to 250kw generator sets. UL Certified Explosion Proof rated light towers. 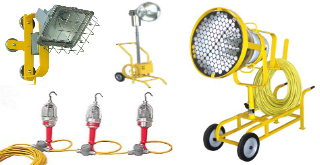 Electric Powered Cage Lights, Light Tower products that meet or exceed a clients specific application requirements. Bossltg’s Line of Portable Lighting Products includes: Intrinsically Safe Lighting, Portable 120v or 12v LED Hand Lamps, Portable LED 120v or 12v String Lightings -Explosion Proof or Water Proof ratings, Low Voltage Lighting Transformers 12v/24v, Portable LED Rope Lighting, Portable Explosion Proof LED Floodlighting-UL844-P4 Compliant, Portable Scaffolding Lights, Portable Hazardous rated Offshore floodlighting and Portable General Purpose LED and MH Floodlights. 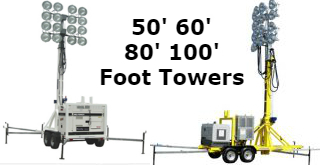 These are some common portable out door applications where a diversity of light towers, portable lighting, temporary power distribution and portable generator sets are used: Industrial Turn-a-rounds and Mega Construction Projects, Oilfield Production, Pipeline Construction and Mineral Mining projects. For our Homeland security portable products are being used by Emergency 1st Responders and Law enforcement agencies. For Sporting Activities portable lights are being used for all forms of sports practice fields and for real game lighting substitutes. Entertainment promoters are using portable lighting and power equipment for scheduling a multitude of outdoor special events. Bossltg, Inc. is an approved UL1640 Certified Temporary Job-site Electrical Distribution assembler. Boss is validated by Underwriter’s Lab to produce and attach the UL Mark on portable electrical job-site distribution products rated 600 volts and less. Products that would include I-line Square D panel boards, 480v transformer 120v GFCI stations, Splitter panels, and Main Power Switchgear protection products. Boss is an OEM provider of MQ Power Portable Diesel Contractors Generator Sets. We use MQ Power products to power our Boss Light Tower products that include our Ultimate Stadium Light Towers, our Gen-set Light Tower Combo’s, and our Oilfield Light Tower, Gen-set, Water and Fuel on-site storage utility trailers. MQ Power products are used exclusively by Boss because of their national service reputation throughout the USA and in Canada. The Boss 60′, 80′ and 100′ High Mast Ultimate Stadium LED and Metal Halide Light Towers are used to illuminate the largest of construction projects throughout the world; Construction applications ranging from Hydroelectric dams, LNG projects to Power Plant construction. Members of the now Bossltg and their associated companies have been supplying portable lighting and temp power safety products to the Oil and Gas Industry since 1981. It was in 2003 that the current Boss family administration started promoting the brand name of Bossltg in association with UL Safety Compliance Standards. These are UL mandated design safety standards required for all portable lighting and temp power products used throughout the OHSA/CSA regulated industries. Boss Products became LISTED with Underwriter’s Lab (UL) in 1996. Bossltg, the company, became the owner and the UL representative for all Boss UL Certifications in 2003. We are registered as a UL844-P4 explosion proof portable lighting assembler as well as a UL1640 temporary job-site electrical power distribution assembler in both USA and Canada. Bossltg is a UL Certified Portable Explosion Proof lighting assembler per UL844-P4 STANDARD. Plus, a UL Certified Temporary Electrical Job-site Distribution assembler per UL1640 Standard. Boss was once listed as a UL153 and a Portable Light Tower assembler but due to the influx of Overseas imported products Boss determined the need for UL Certifications on these types of products were not applicable, These UL Certification files can be re-opened by Boss upon request from clients for special project requirements. Bossltg is accredited for developing portable explosion proof UL Certified floodlighting for use in confined space entry oil storage tanks. Boss created the first explosion proof string light system using a series of hand lamp products wired inline on 150′ power cords for use on scaffolding for confined space entry apps.. Recently Bossltg introduce LED industrial ROPE LIGHTS for the tank and vessel servicing industry.